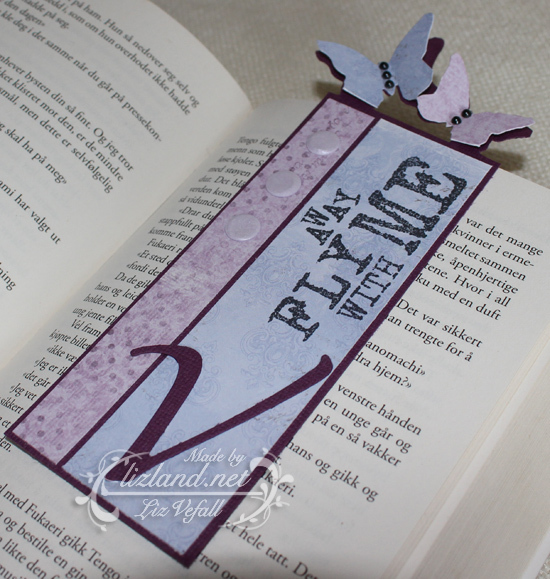 A couple of months ago I made some bookmarks. With butterflies. 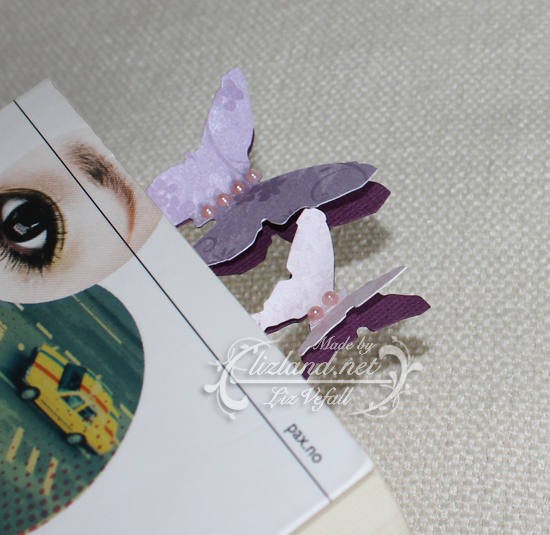 I love using butterflies. Here is a link to that post. 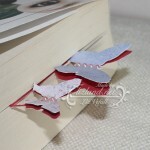 This post is to show some more of the bookmarks I made with a very similar style. 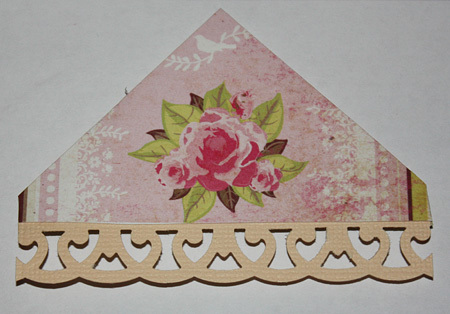 I used the same Tim Holtz butterfly die. 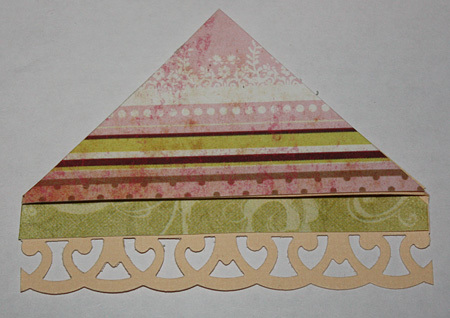 I used paper scraps from various sources. Quite frankly I am glad I found something so useful to make with it. 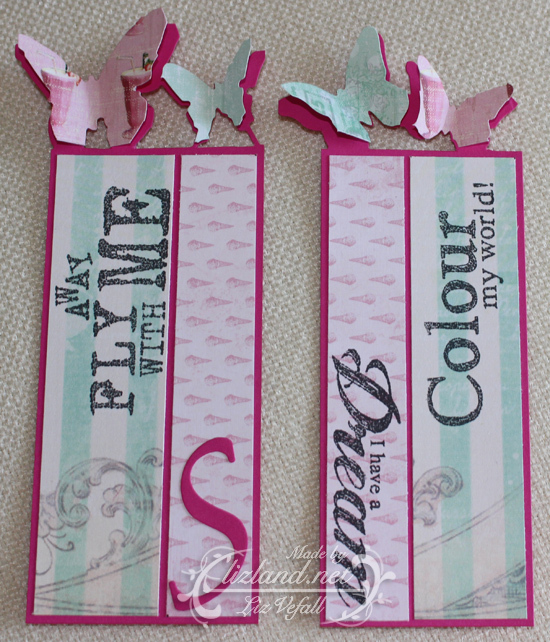 The main difference between these bookmarks and the first one I posted is that these have an added row of pearls on the butterflies to create the body. 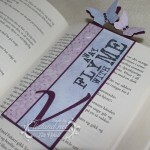 I also added a letter on some of them, the first letter of the name of the person who was getting the bookmark. I reckon I will soon make up quite a few more. They are very handy to have. Especially for someone like me who is currently reading three books at once! You can click on the images to view the a bigger photo of each of them. 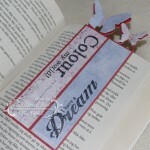 So here they are: the new bookmarks I’ve made. I got challenged by my other half to create something different as I usually only make cards. 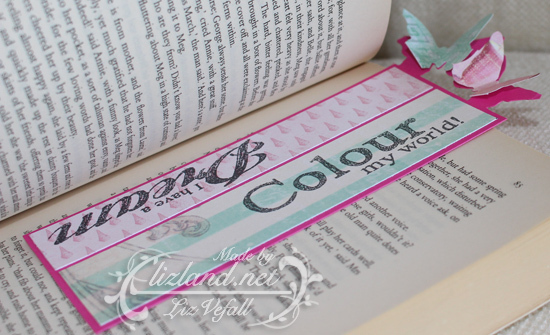 He suggested bookmarks in particular and I was a little gutted as I couldn’t manage to think of anything I liked the idea of. It was only after I made a card I got the idea for these ones. 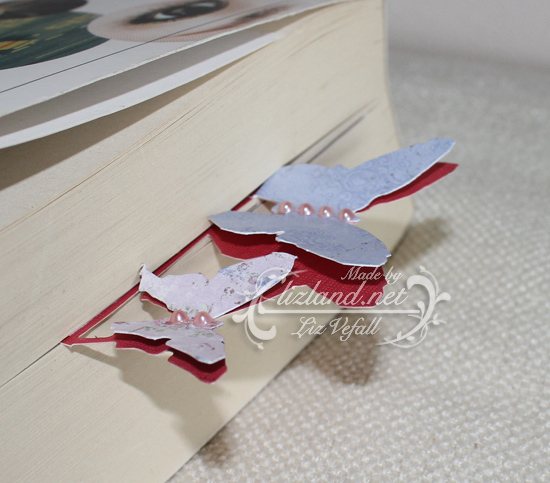 Butterfly bookmarks! 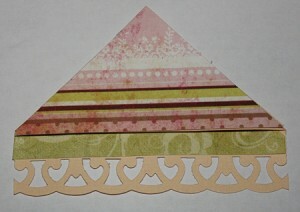 I decided on an entirely random size and started by making the top border, twice. 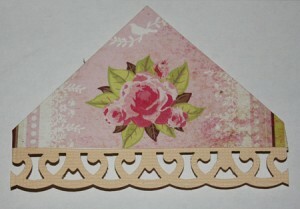 To make it I used a butterfly puncher by Tim Holtz. 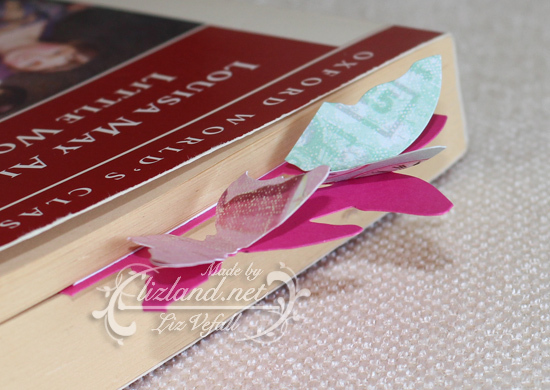 The bottom butterfly is joined with the actual bookmark, and the top layer is only glued in the middle and cut apart to stand up and make them look like they are flying. To decorate them, I used some stamps I won in a challenge ages ago. They were available at Panduro. The two I’m posting today are two I made for my sister. She wanted them in pink and turquoise so that’s what she got. Below you can see photos of what they look like, both stand alone and in a book. 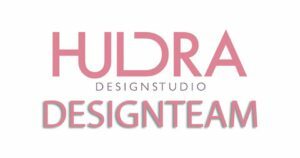 I have made them in various colour combinations and will post them over the next few weeks. Here you can see what one looks like on a page in a normal sized pocket-book. And this is what it looks like with the book closed. You can see the butterflies popping out, ready to fly away! About half a year ago I made some bookmarks (see the old post here). 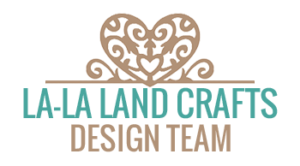 I made them after I’d found a tutorial which was very simple to use. 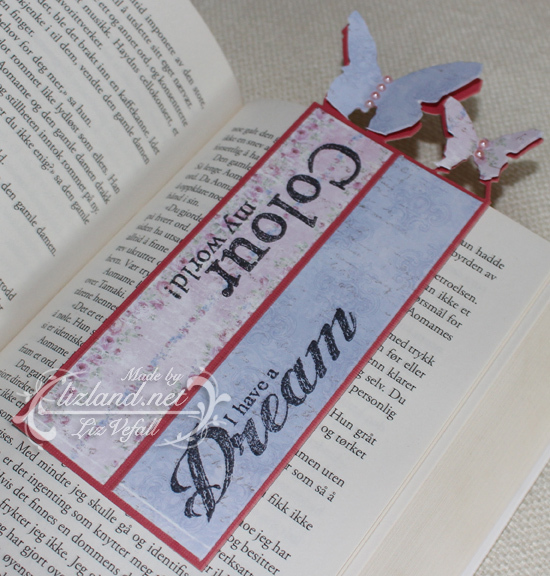 While making a birthday card for a young lad, I decided to make some matching bookmarks, as he is always happy getting books for Christmas and birthday presents. 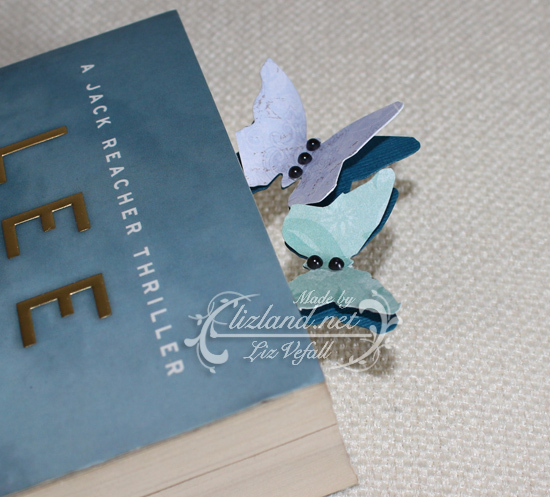 I decided to try to make the bookmarks from memory, and they turned out surprisingly well as I didn’t use any dimensions or a blank template. 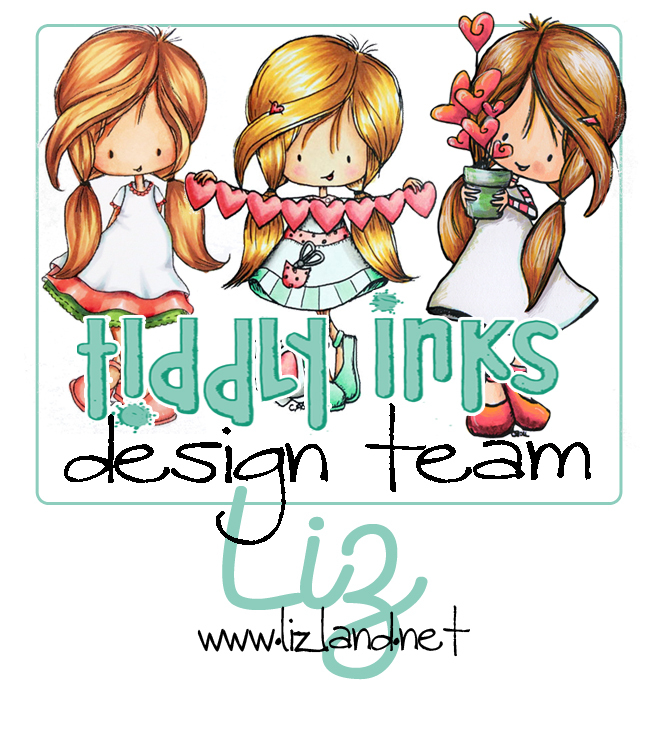 I wanted to make a bookmark to go with a card I made for my other half’s lil cousin who recently broke her arm. If it had been me breaking my arm as a kid I’d have been reading, anyway. 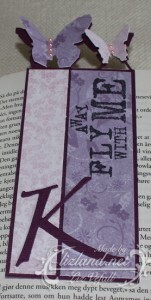 Besides, one can never have too many books or bookmarks! Right? So I went to my mates at Google and wondered if they had any good inspirational bookmarks for me. And boy did I find a good one. I knew the second I saw it that I had found what I was looking for. Wee monsters for munching your pages! They are so adorable! Have a look here for the brilliant tutorial I found! I love it! 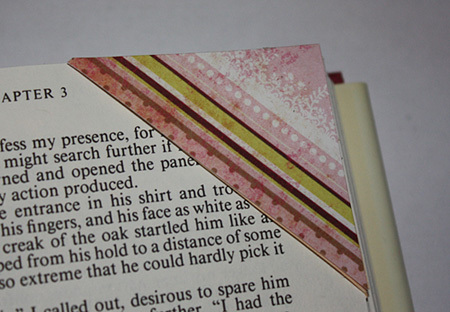 It sits really nice on the corner of the page and is not sticking out to get in the way. I’m going to make several for myself.